Emotions are God given feelings which allow us to experience the world around us. In essence, emotions are neither positive or negative, but because through them we experience positive or negative feelings, we refer to the emotions themselves as positive or negative. 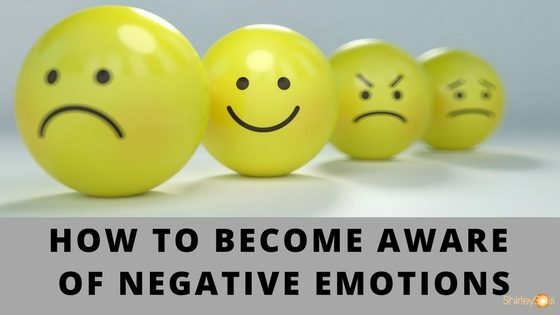 The overload of negative emotions that have not been processed causes us to feel weary at best and defeated at worse, and it can severely affect how we feel with ourselves and with those around us. The worse thing though is that since most people are not aware of emotions, we may not even know how we are being affected. With this in mind, think of the negative emotions you are feeling regarding that problem. What emotions do you feel? Anxiety, hopelessness, sorrow, despair, anger? After becoming aware of these negative emotions, scale them from 1 to 10. Now that you are aware of the scale of your feelings, what action are you going to take to let those emotions go? The negative emotions you feel regarding those problems are keeping the problems present. Your thoughts affect your emotions, and in turn, your emotions affect the problem. If you are at a level 2, great! Maybe the pain is not at a level where you have to deal with it right away. However, if you are at a level 5, how much worse does it have to get before you are ready to act? If you are at a level 7 or above, you have probably been dealing with this for a long time. It is time to seek help. I want to make sure you receive the support and encouragement you need to become aware of your level of emotion surrounding the problems you are facing. Hopefully you realize if you do not take care of the problem, it is just a matter of time until it gets to a level 10. If you are at a level 10, your health is at risk. I see people all the time dealing with chronic stress, pain, autoimmune disease and other dis-ease stemming from emotional harboring. At level 10 your family is also at risk! Your children model your emotional behavior and you cannot continue to cope with all that you are feeling, without it having dangerous consequences to yourself and to those around you. Now that you’ve gone this far, seeking help is not an option- it is a must. It is the only thing that will keep you alive and that will keep your family together. Seek the support of someone outside of your circumstances, who has the experience and the skills to help you process what you are dealing with. Make sure this is someone you feel comfortable with and who has your best interest at heart and who can support your entire family- this is very important. Not taking action can cause much regret in the future… that is why it is crucial you do this now. If you would love a private conversation to identify if I’m the right person to help and support you, please reach out to me… I am here to help you find the joy and peace you need and deserve! I can provide support to help you start making changes and release the negative emotions that have kept you a prisoner of the problems you are facing right now. I look forward to speaking with you! Tag...now it is your turn to put a comment below! Healing Daddy Issues- Is it Possible? Get Your FREE Parenting Mini-Course! This is Exactly How I Went from a Frantic Mom of 1 to a Confident Mom of 6 - 4 Practical Videos Teach You How to Avoid Nagging, Yelling, Sibling Rivalry and More!